Scented candles could be one of the many items that can effectively be therapeutic. Although a lot of them are expensive and luxurious, there are also those that are inexpensive and high quality. Whether you are a long time user or a first-time buyer, finding for the perfect scented candle can be difficult, so we’ve prepared this article to help you choose the perfect one. So without further ado, let’s learn about these magnificent candles. Scented candles or aromatic candles are used for relaxation and healing brought by its swaying flame and fragrance. 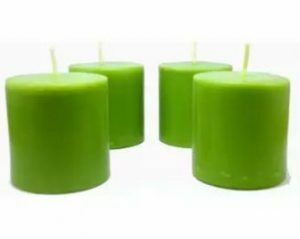 These candles are said to have an aromatherapy effect of bringing someone tranquility and a peaceful mind. This is a simple way of pampering ourselves in the comfort of our home. Scented candles can be an easy remedy after a long and tiring day as flickering flames and gentle fragrances are said to relax our senses. On a tired and stressful day, lighting up the room with one may immediately change the ambiance. Not only that, but scented candles can be good accessories to display in any room. One of the most important things in choosing a scented candle is to find your desired scent. But like any products we purchase, the quality would greatly depend on the manufacturer. From here on, I will introduce some points on how to choose scented candles as we consider its price and designs. When selecting a scented candle, there is a misconception that large ones are better since you can use it for a longer time. But capacity does not usually equal to the length of burning time. We will explain below some valuable pointers about burning time in scented candles. The burning time of scented candles varies depending on the formulation of wax. Just because the size is small does not mean the burning time is short. When choosing a scented candle, check the burning time and not just the size. As you compare different candles from each other, you will probably realize that some smaller candles may actually be more worth it because of how long they can keep burning! When it comes to scented candles, the bigger is not always the better. The accuracy of burning time displayed by the manufacturer actually varies depending on how you use it. 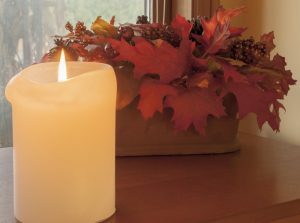 Especially if the wick is too long or the flame is too strong, the burning time will be shortened if not lit properly. This can be tricky for first time users. 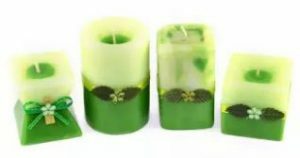 Some candles have a beautiful design, so you can not only enjoy their flickering flame and fragrance but also use them as interior decoration. However, candles with decorative designs tend to be expensive. There are two types of scented candles, one that requires a holder or a container, and the other has a container and can be used immediately. Both have its pros and cons, so let’s choose according to lifestyle and taste. Candles without containers are relatively cheap because you don’t pay extra for it. A disadvantage of it is that it takes time to prepare a holder separately. It is also necessary to check the size of the candle carefully so that it fits the container that you have. Scented candles with a container can be enjoyed without additional preparations, so it is easy to use. Containers are classified roughly into three types, short glass type, glass jar type, and aluminum can type. When not in use it can be used as interior decor. Although scented candles with containers have a big advantage, they tend to be more expensive. Containers of scented candles often made of a solid heat-resistant glass or metal. Many containers are designed beautifully, so it would be a waste to throw it away as it is. If a container is not durable, you might not be able to reuse it. Make sure to read the instructions for further use. We’re going to introduce our top recommended scented candles in this section. We’ve already taken a look at the fragrances, prices, and reviews of each candle. Hope you find your best scented candle for your sweet relaxing time. Krispy Kreme is one of the most famous donuts makers in the world. This particular candle smells like raspberry, to add a bit of sweetness in the air. If you are fond of the sweet fragrance and want to enjoy them without intaking calories, then this candle is definitely for you! Not only is it cheap, but it’s also cute and unique. Although it may not burn for too long due to its small capacity and wax formulation according to some reviews, it sure is a fun and exciting candle to buy. 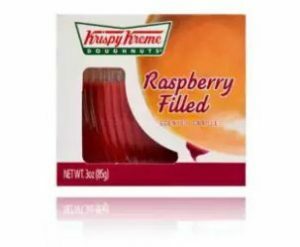 Feel free to give this as a gift to any doughnut lover out there! During the rainy season, you might see mosquitoes everywhere and it can be annoying. If you want to lessen possible mosquito bites and want your house to smell nice at the same time then try this. Another great thing about these tiny scented candles is these are 100% made in the Philippines. Citronella is said to keep bugs away due to its powerful fragrance. Its faint lemony scent gives users fresh feeling, which makes it perfect for hot countries like the Philippines. 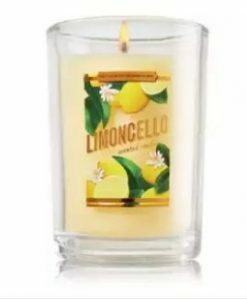 Bath & Body Works may have one if not the most number of scented candles on the market, and this candle is one of its popular creations. It has a strong lemon scent that freshens up the air anywhere you put it. Although a bit pricey for a small candle, candles from this brand are of good quality because they last longer. If you haven’t tried their candles yet, then purchasing this small candle would be a good idea before ordering bigger ones. We’re sure you’ve studied this in school, but Sampaguita is the country’s national flower. It has a mild floral scent that can relax our senses. Sampaguita also has a flower message of ‘An everlasting love’. Why not give this to a loved one as a gift and tell them what it means? Not only do they smell wonderful, but the designs are also splendid and they can last a long time–up to 36 hours. You can tell that the maker took his time to create these candles! Making it a perfect gift alternative or just display it at home especially on special occasions. If you want to invest in a luxurious scented candle, then why not try this one? This French company produces excellent high quality scented candles perfect if you want to spoil yourself. If you are tired of low-cost candles, then this may be a good product to buy. This candle has a strong scent of berries and roses, perfect to give as a gift to women on special occasions. If you want to preserve such expensive candles, then using it as a decor works too since according to user reviews, it smells great both lit and unlit. 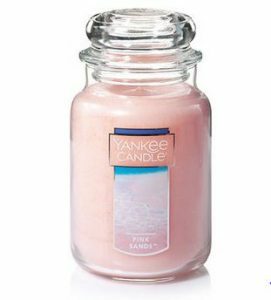 Yankee Candles are also very popular for their authentic and wide variety of unique scented candles available for very reasonable prices. 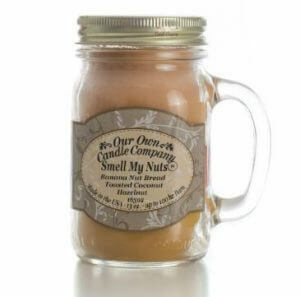 This particular candle is one of their best sellers. If you like clean, non-overpowering scents then you’ll love this one. Plus it can also work as a cute accent to your room. This candle produces a smell of sweet fruity fragrances the moment it’s lit up. This will also last you for days too as long as you burn it according to its manual. This local brand of hand poured scented candles produces candles made from soy wax, making it vegan and organic. Not only is the price reasonable, but the packaging is cute as well that gives you a beachy vibe which can be marvelous as a gift or display. You will be able to store and take this anywhere you go because of its sturdy travel-friendly tin can as a container. Take this candle with you everywhere so that you can enjoy the feeling of being on a beach wherever you are. This particular candle isn’t like the common feminine candles we often see. If you love the smell of men cologne and feeling adventurous then we urge you to try this one out. It also produces an earthy feeling that is non-overpowering and perfect for men. When lit, the three wicks can be a beautiful accent in your room decor. If you are tired of florals and fruity fragrances then get this and you surely won’t regret it. 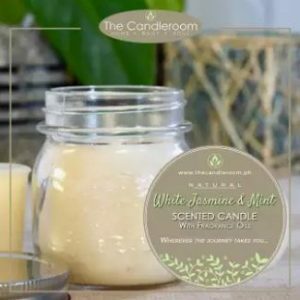 This candle is made from natural coconut essence mixed with white jasmine and mint for a sweet but refreshing scent that will embrace your room. It is 100% organic and claims to burn for as long as 40 hours at least. It may also be great for aromatherapy. Light it up when you’re tired or stressed, and we’re sure you’ll start to feel relaxed. Its sweet fragrance can also set a romantic mood at night with your loved one. If you’ve never heard of a banana bread fragrant then here you go. The perfect candle to impress someone as if you just baked a delicious pastry at home. This unique scented candle is definitely one of a kind. Starting from its name to its layers of sweet fragrances in one jar, you can never go wrong with it. Based on user reviews, this candle burns up to more than 40 hours. Indulge with this delicious fragrance that is perfect not just for banana bread lovers, but also for people who prefer long lasting candles. Scented candles give off a more subtle fragrance. Therefore, using scented candles as you’d normally use up aroma oil or aroma diffusers will result in a weak scent. Let’s understand the right way to enjoy the fragrance of scented candles to fully reap their benefits. Scented candles are not as fragrant as aroma oils. In this case, try burning more than one candle all at once. If you still can’t smell the candle’s aroma, then use more than one. It is good to enjoy a scent with the same scented aroma candle, but it is also recommended to enjoy different scents at the same time. Customize the fragrance and find your favorite combination of scent. The fragrance of a scented candle only has a faint scent to enjoy with its flickering flame. For that reason, it is a little unsatisfactory to use as a room fragrance. If you want to change the scent of your room completely, use an aroma diffuser, aroma oil, or room perfumes. Scented candles, if not used properly, could cause a fire hazard. Be sure to check the accompanying cautions when using, and let’s pay attention to safety. Candles, in general, should be put on a flat surface and far from flammable items. Also, we must pay attention to the wind. The flame of the candle may be small, but it will burn quickly when exposed to strong wind. Also, when placing a candle in the bathroom, turn on the ventilation to let the smoke out. Do not forget that you are burning fire when using scented candles. Be careful not to get drowsy by relaxing too much in the bathroom! Most scented candles have a specified continuous time of use. Especially with scented candles in containers, we should consider the endurance time of the container as well. Make sure you read the instructions to avoid any accidents. How was this article about scented candles? 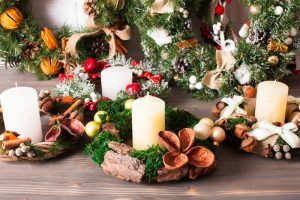 We just explained the points on looking for the best-scented candle, and also our recommended products. We hope you’ve learned useful information on how to purchase your perfect one.